Inspired by the predatory stance of an animal stalking its prey, the Mazda3’s KODO: “Soul of Motion” design captures the essence of poise, energy and power. Some automakers are content to engineer the status quo. Not us. 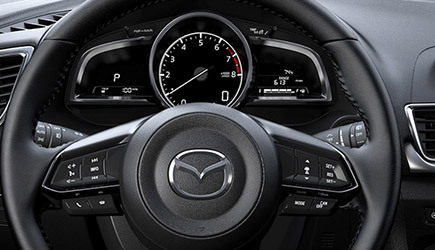 At Mazda, we’ve stopped at nothing to totally redefine the driving experience. 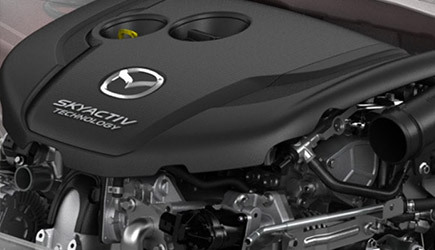 The result is our revolutionary SKYACTIV® TECHNOLOGY, a platform that delivers unmatched driving dynamics right alongside equally impressive fuel economy. 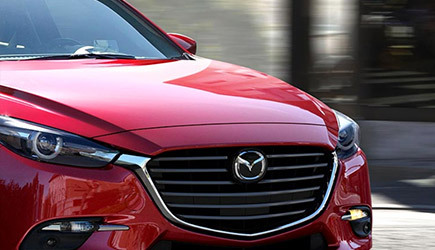 Mazda’s new technology, SKYACTIV®-VEHICLE DYNAMICS with G-Vectoring Control, helps achieve a smoother, less fatiguing drive for you and your passengers. 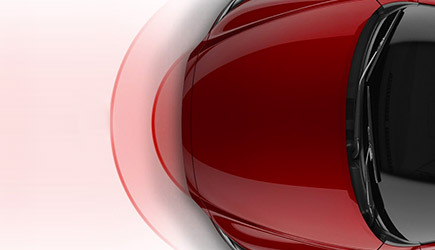 It’s a highly efficient vehicle movement control system that operates in the background during a spirited drive. When cornering, the system works seamlessly by adjusting power delivery and shifting vehicle weight. The effect is subtle, but how you feel after a great drive isn’t. Why go to these lengths? Because we believe no detail is too small when it comes to making driving better. Superior Safety that Inspires Confidence. Inspired technology that inspires confidence. That’s what available i-ACTIVSENSE® safety innovations give you. They use sophisticated technologies like cameras and radar to give you a sixth sense for safety. Helping alert you to hazards before they happen. It’s another way Mazda lets you focus on what matters: driving. An interior built around the driver.